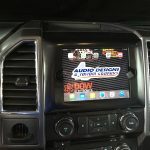 2015 2016 2017 Ford F150 iPad Mini Dash Kit is our new must have accessory for your truck. 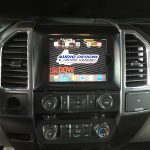 Add navigation to your Ford F150 and use your ipad mini in place of a double din dash kit and have many more custom features. We’re back at it again! 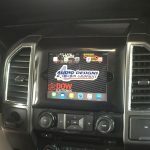 The 2015 2016 2017 Ford F150 iPad Mini Dash Kit is our new must have accessory for your truck. It’s made in-house right here in the USA! 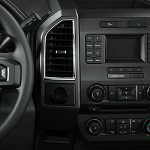 It requires no cutting or permanent changes to your factory dash, and installs in about 30min or less. This kit is currently available for the iPad Mini 1, 2, & 3 (ipad mini 4 will soon be available). Be sure to double and triple check which tablet you have before ordering. 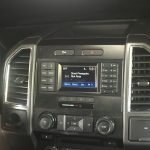 The dash kit is currently only available for the Sync radio, which is the smaller 4.3″ screen pictued in the gallery. 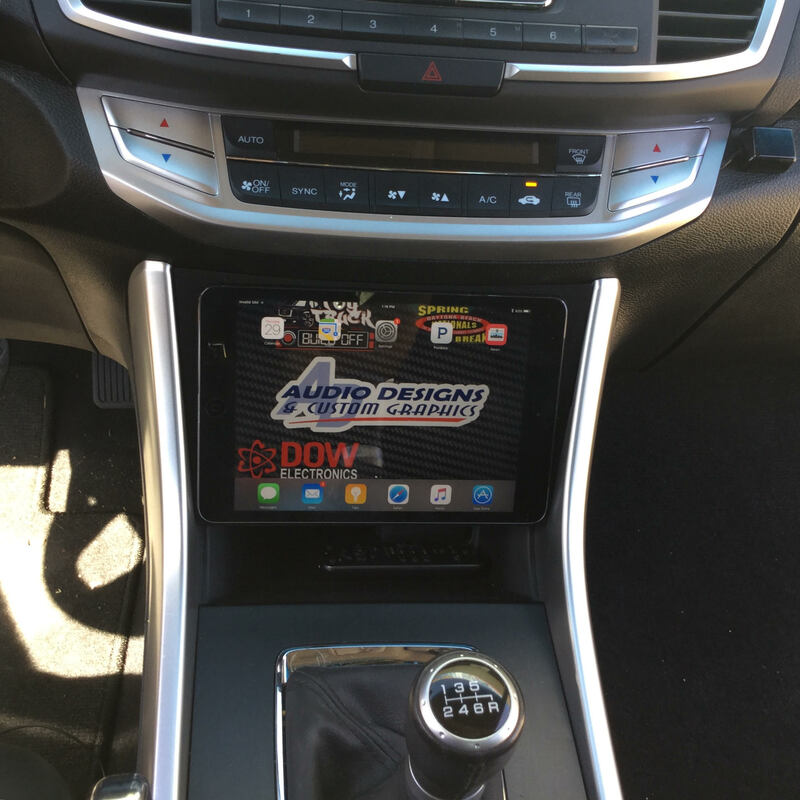 Using our ipad dash kits along with an ipad mini is far superior to installing a double din radio. 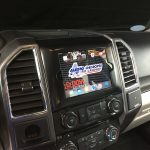 iPad minis can be removed and taken inside or on a plane, I suppose you could do this with a double din, but you’d need a battery and playing with a double din in your house just isn’t cool. An ipad mini is super fast, there’s no integration, unlike double dins where you’ll have to integrate and you’ll end up with some slow user interface that isn’t cool. Your neighbors will envy you. 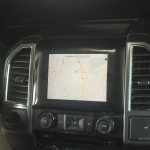 If you already have an ipad mini, it’s WAY cheaper to buy our kit vs. buying a double din, an expensive dash kit, an expensive module, integrating steering wheel controls and paying an installer at least 2 million dollars to install it. If you don’t have a mini, the mini and the kit is still less expensive than just a navigation radio. Plus it gives you an exuse to get one and have something cool installed in your vehicle at the same time. Your significant other will love that you saved money on this and you end up with an iPad mini! Winning! 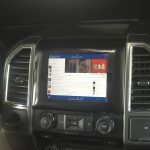 Does your double din have internet so you can watch youtube (of course this isn’t something you’d do while driving) or check your email, get text messages? iPad mini navigations update for FREE automatically and have traffic on them. WAZE is a really cool app! Shows you where the police are set up with speed traps! 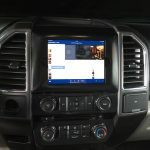 Every single app is available on your ipad, while only a few apps work on Double Din’s. 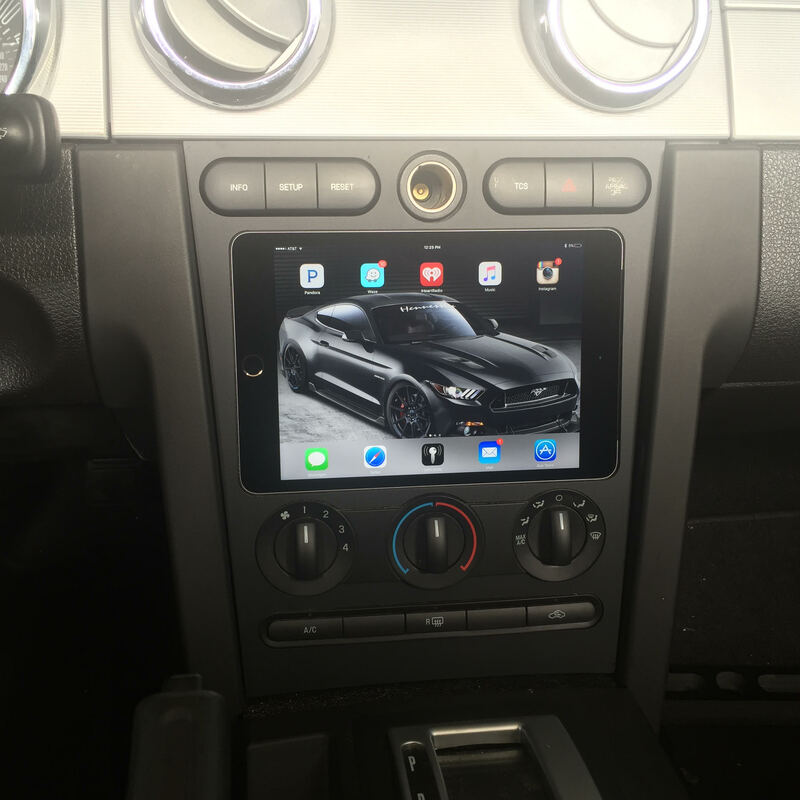 Having an iPad mini in your vehicle will actually give you more sleep at night! 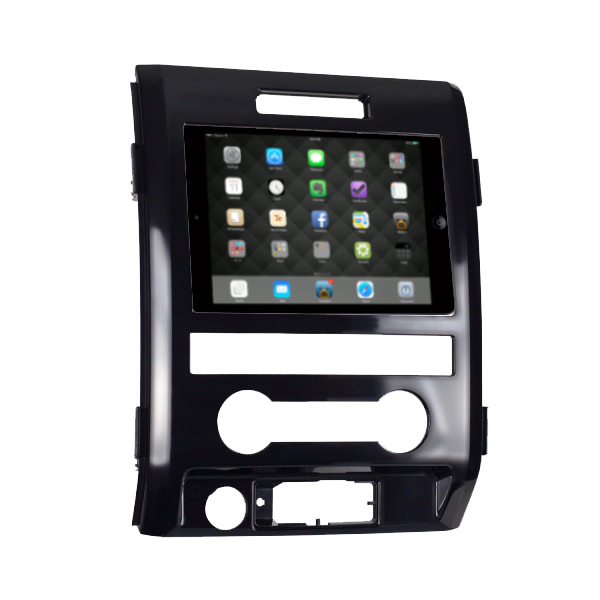 Your iPad mini kit can pull right out and leave your dash looking factory, which who has ever stolen a factory radio? 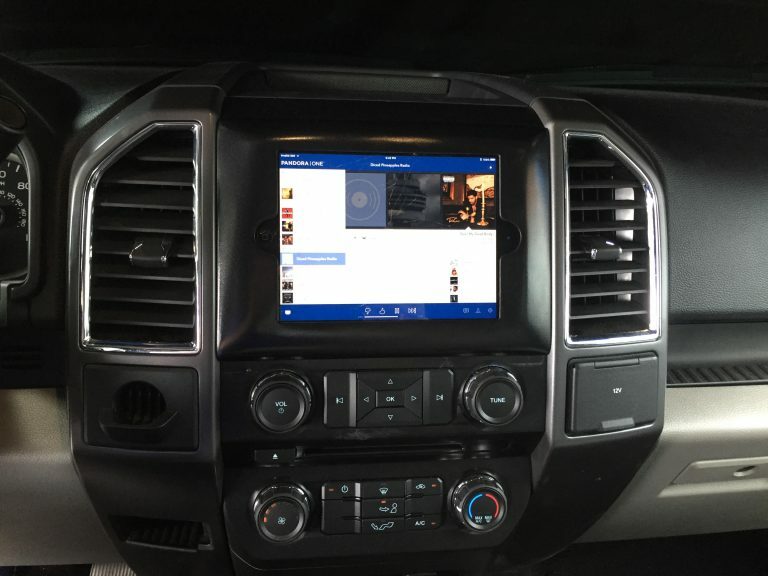 Double Din, it could get stolen. I sleep well at night knowing I don’t have to worry about this. 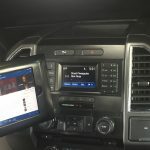 Now for the bad about iPad mini’s, well there really isn’t any, unless you’re an Android kind of person, then you’ll actually have to figure out how to use this as a badass radio. As a result of this iPad mini kit, we recommend you buy and learn how to use an ipad mini! 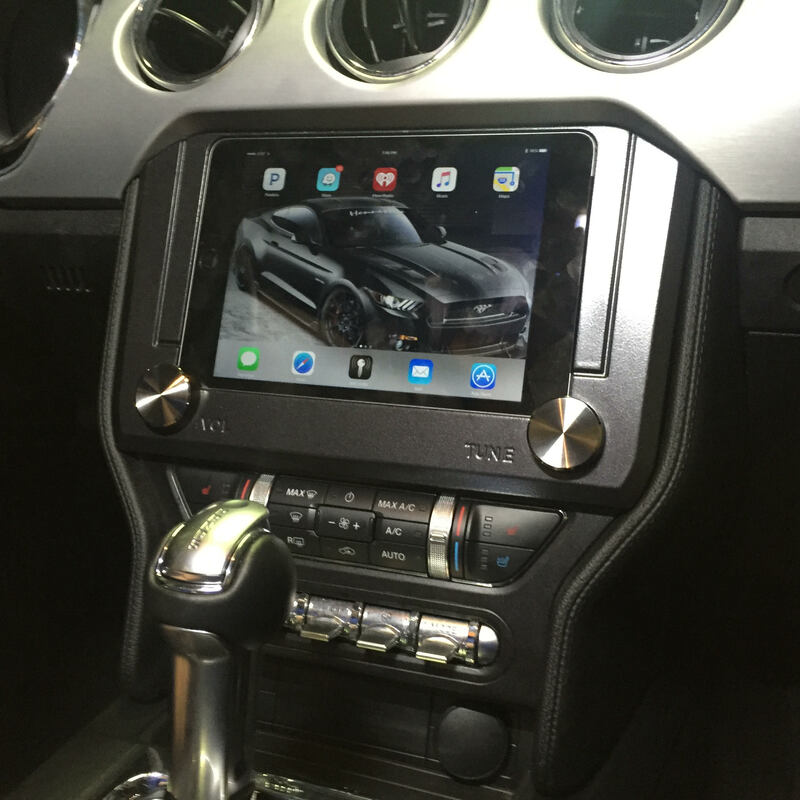 Consequently, ipad mini’s and double din radio’s are pretty much the opposite of each other. Because we machine these kits out of 1″ acrylic and take our time sanding and painting, our kits are very strong. Retain your factory back-up camera or add an aftermarket camera with our WiFi Adapter. !! !CHECK OUT THE VIDEO BELOW!! !